Are You Worth One Million Dollars? In this lesson, you will be introduced to safety. Taking proper safety measures is a habit you must instill into your mind and at work. Take the time to create productive and safe work habits. You know it; I had to mention safety before we kick off. You always hear “safety first” at safety meetings, but many technicians think safety is a lot of hype and ignore the safety policies. So is safety really that important? First, sense we’re all about cars, not safety, let’s talk about restoring an awesome car. Let’s say we have an unlimited budget to build a million dollar ride. You know, a car like Chip Foose at Foose Design would build. Of course, it would take hours and hours of labor and thousands of dollars to get it there, but the end result would be well worth the wait and money. Could you imagine having a ride worth one million dollars? I’m sure that you would take a lot of pride in it. I know that I would! Would you take care of it? What about storage, would you keep it in the garage or put it out back in the grass, weeds, and weather? I’m sure that you would do everything that you could to protect the car from being damaged. 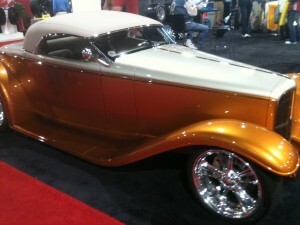 If someone offered you a million dollar car like this, would you exchange it for your eyesight? What about a leg, or would you trade your life for it? I am assuming you answered no, as these things are priceless to us. I would not want to even exchange my eyesight or life for a billion dollars. While most of you would agree, we are quick to ignore safety and grab a grinder and start grinding, weld without a welding helmet, paint without a paint respirator, or many other things that could affect our health without thinking twice about it. If you’re willing to take good care of a car, don’t you think you should take care of yourself? I know it can be confusing to watch some of the shows on television or even walk in to some of the body shops and see people not practicing good safety habits. However, don’t buy into the “if they are not doing it, it must not be important” mentality. It’s your health…take care of yourself. Well, this is over-exaggerated. Or is it? There are many eye injuries and painters who have to leave the collision repair industry every year due to becoming sensitive to paint chemicals. It really happens, but the good news is that most injuries are preventable. It would take a while to explain all the PPE (Personal Protective Equipment) that needs to be used, but I will highlight a few of them needed in an auto body shop. 1. Eye Protection – Most schools require eye protection to be worn at all times in the shop area, but I see many body shops that do not require eye protection. However, I would highly recommend that you get in the habit of wearing eye protection. Eyesight is too valuable to lose. 2. Dust Masks – When sanding or grinding wear an approved dust mask. This will prevent you from breathing all the products being sanded and other debris that is not healthy for you. 3. Respirator – The catalyzed clears and primers that are out there should not be taken lightly. They have chemicals that will mess you up. Wear an approved respirator when spraying any coatings. You should also wear an approved mask when welding. Many car parts have a galvanized coating, which can be extremely unhealthy if inhaled. 4. Gloves – Chemical resistant gloves should be worn when working with chemicals. This will prevent the chemicals from entering your body through your skin. 5. Hearing Protection – You may not need to wear hearing protection at all times, but if there is grinding, air chiseling, or other loud things going on, protect your hearing. There are many other PPE and safety procedures to consider before working in a shop area. 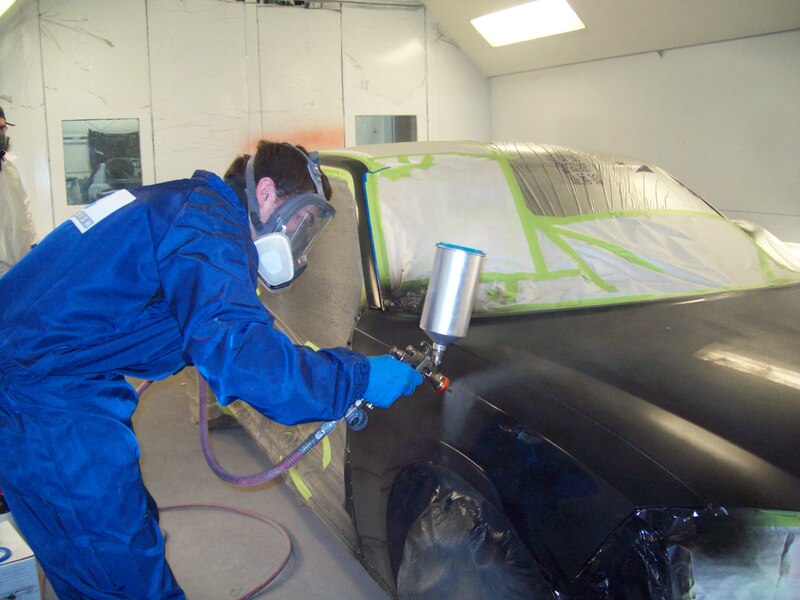 This just covers several of the most common PPE used in a body shop environment. When working under a car, steps should be taken to prevent injury. This sounds like common sense, but there have been many people injured or killed by being pinned underneath a car. In fact, I personally knew I a guy this happened to. He was a Corvette enthusiast. After he retired from the military, he had a shop and worked on his own cars. One day, he was late coming into the house for lunch. His wife became curious why he had not come in to eat yet. She walked into the garage to find him pinned underneath a car that he was working on. He lost his life due to being underneath a car without jack stands. He was a perfectionist at everything he did. No one knows for sure, but I am guessing he was not really working underneath the car, he probably got underneath the car chasing a bolt while the car was lifted by a jack, as working under a car without jack stand was not his nature. That is probably when he got pinned; the jack may have slipped. Regardless of what happened in his situation, my point is to use jack stands anytime you are underneath a car. No matter how big or small the job…or even if briefly to find a missing bolt. Why Not To Trust The Jack? Jacks are designed to raise the car, not to support it. Jacks can slip or bust all at once pinning you under a car, or hydraulic jacks can slowly leak without you noticing until it’s too late. Becoming trapped underneath a car, as the jack continues to leak and lower down on top of you is not a situation you want to find yourself in. Whatever reason, just secure the car with jack stands to prevent this from happening to you. When jacking a car, apply the emergency brake and use wheel chocks to prop against the tires to prevent the car from moving back or forward during the process. If using a lift that lifts the car by the frame, be sure to look underneath the car to properly place the lift arms in the correct place on the car. Raise the car about 3 to 6 inches off the ground to double-check if the car is anchored properly and the weight is balanced properly. To do this, shake the car to assure that everything is correct. 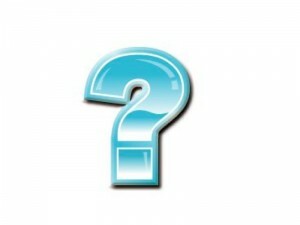 If something is going to shift or slip, this is the time you want it to happen…not when it is fully raised in the air. Once the car is raised to the desired height, always assure the lift’s safety lock is engaged. Most of the list and frame machines I have used require the lift to be lowered until the safety locks are locked into place. 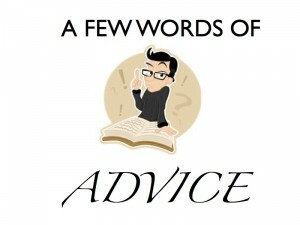 These are just a few tips that I am familiar with. However, there are many different brands and types of lifts and frame machines out there. Always read the equipment manual and ask questions until you fully understand how to properly use the equipment. There are many hazardous materials used in a body shop. Therefore proper handling and disposal is required. When painting, you are going to have waste to deal with. My best advice to you is to check with your local Fire Marshall to determine the proper way to dispose of the waste, as there are different laws in different parts of the country. There are many different pneumatic tools used in a body shop. A few of the most common tools are: grinders, cutters, sanders, and blow guns. I will list a few of the safety cautions to be aware of when operating the tools. However, you will need to read the manual or technical data sheet to each individual tool before using. Be sure to read the recommended air pressure for the air tool you are using. This will save the life of your tool and prevent an unnecessary injury. It is also important to maintain your air tools by oiling them daily and keeping them clean. Grinders: Grinders are used to remove coatings, grind welds, and preparir metal for body fillers. There are other uses for grinders, but the same safety procedures should be followed. Grinders produce sparks and dust. This is probably the number one cause for embedding metal into eyes in the body shop. To prevent this, safety glasses should be worn. For additional safety, a face shield should be worn as well. Due to the dust and airborne debris the grinder produces a dust mask should be worn to protect your lungs. A grinder can be loud, thus requiring ear plugs to be worn to protect your hearing. Another thing to keep in mind when grinding is that the disc is turning at a high RPM. Care should be taken not to wear loose clothing, long hair, or jewelry that can get caught up in the grinder. Long hair should be tied back or tucked underneath a cap. Buffers: This is the same thing as a grinder, but is operated at a lower rpm and a buffing pad is used, rather than a grinding disc. Therefore, all the same safety precautions should be used, as with a grinder. Cutters: There are different types of tools used to cut metal. A cutoff wheel is a common tool used to cut metal in body shops. A cutoff wheel produces sparks, dust and debris like a grinder. Therefore, the same safety precautions should be taken with a cutoff wheel as with a grinder. 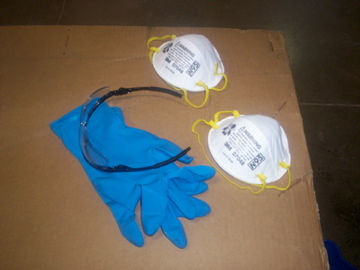 Eye protection, a dust mask to protect lungs from dust and debris, and ear plugs to protect hearing. The cutoff wheel turns and could get caught up with loose clothing, long hair, and jewelry, so the same precautions should be used with a cutoff wheel as with a grinder. Caution: The cutting wheel should be checked before each use for chips, and cracked or broken cutting discs. If the disc is damaged, replace it. A damaged cutting disc can explode, which can cause pieces of the disc to fly and hit you or someone else in the shop causing serious injury. Sanders: Sanders are used to remove coatings, scuff painted surfaces to provide mechanical adhesion, sand fiberglass fillers, sand body fillers, featheredge paint surfaces and many other applications in a body shop. The most common sanders are an air file and a dual action sander. Both sanders produce the same precautions. Eye protection should be worn for any tool used, but sanding also creates much dust and debris. Therefore, a dust mask should be used to protect your lungs, and hearing protection is also recommended, as sanders create loud noise. Air Guns: This tool is used to blow an area to clean it. However, this should be used as little as possible. For example, it is not a good idea to blow body filler off a panel to clean it. This blows dust everywhere making a mess. Using a hand broom and dust pan or a vacuum is a much better tool to use for this. An air gun comes in handy to blow a car off before pulling into the paint booth to remove any dirt that may be hiding in crevices and cracks. You should also use approved air guns, which will not blow more than 30 psi. Bloodborne pathogens: Defined by OSHA as, “infectious microorganisms in human blood that can cause disease in humans.” These pathogens include, but are not limited to, hepatitis B (HBV), hepatitis C (HCV) and human immunodeficiency virus (HIV). Needlesticks and other sharps-related injuries may expose workers to bloodborne pathogens. Workers in many occupations, including first aid team members, housekeeping personnel in some industries, nurses and other healthcare personnel may be at risk of exposure to bloodborne pathogens. Is this a concern in a body shop? Watch the short video over bloodborne pathogens below page to learn how this is a concern in any work environment. You need to attend training to learn what to do if there should be an accident. However, there is another concern in the body shop. Even though there is not an accident, there are many sharp metal edges that can cut our hands. This is something you should be concerned about and aware of. The safest way to work sheet metal is to wear work gloves to prevent yourself from getting cuts. Also be sure to bandage all open wounds to protect yourself and others from any type of contamination. I hope when you answer the question of who is saying safety first, you think of yourself. Forget about the policies and procedures. If that is your only concern, you may only do it to please the boss. The problem with this is you may slack when the boss is away…it’s all about you, keep yourself safe…as we just discussed, you’re worth a million dollars. I know that safety is not one of the most interesting subjects and I will be the first to admit that this is not my area of expertise, but it is very important. If you get hurt, you may not be able to perform this type of work for fun or as a career. Therefore, I have included additional training and several safety training resources to introduce you to safe work habits. This is a two part video that explains how to read a technical data sheet. 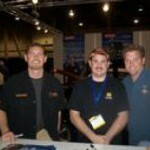 This is some additional safety training website you may find interesting. 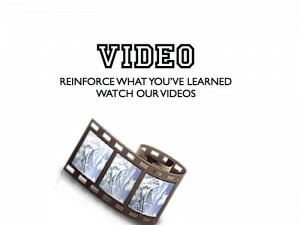 Read the text, and then watch the safety videos included in the resources. 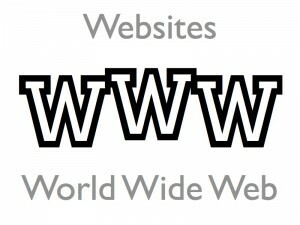 I have also included several websites for you to view. 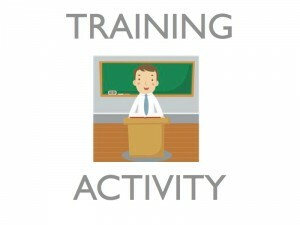 There is additional training (free and paid) on each website for you to consider. Think of a time that a safety procedure or equipment protected you from injury; or a time that you were injured due to insufficient equipments or lack of policies in place. 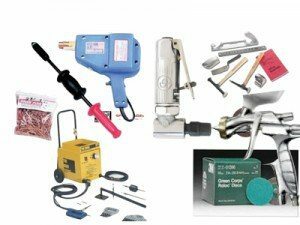 The most important advice that I can offer is to read all product, tool, and equipment labels and manuals before using or operating any tool or equipment. ISOCYANATES: This is the chemical in many paint products that is very unhealthy and can cause many health defects. MSDS: Material Safety Data Sheet – This is a form that products have, which state all the chemicals, ingredients, hazards, etc., regarding the specific product. 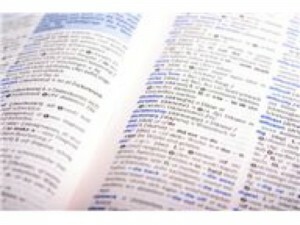 NOTE: By law, body shops must provide or have available, the MSDS sheets for the products used at the business. 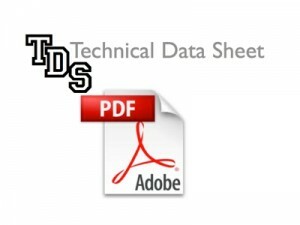 TDS: Technical Data Sheet – These are the directions of how to use a specific product. May also be referred to as the procedure pages. I believe this should be read on every product used. This will help you eliminate many common mistakes made. VOC: Volatile Organic Compounds – This is solvents that become airborne during spraying and evaporation of paint products. VOC is what the EPA has a big concern with and developing ways to reduce VOCs.